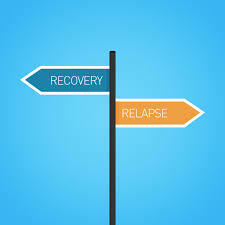 There may be some who quit bulimia cold turkey and never go back. Get up, dust off your knees, and get back on the horse. Every. Single. Time. That’s obviously a tongue-in-cheek and simplistic answer. The longer answer is to use your intellect to figure out why the slip happened in the first place. Then create structures to mitigate your risk of it happening again in the future. This will build your character and ultimately your recovery. One such structure was moving homes. It was a pretty drastic measure, but one I knew was necessary for me to successfully quit bulimia. I had lived on my own for most of my adult life and isolation was one of my major triggers. Whether it stemmed from the aloneness I felt as a child, from the unmet adult longing for a life-partner, or from the general sense that I didn’t fit in very well in the world, I knew coming home to an empty place year in, year out, was not serving my recovery. So I got busy looking for a larger home and a roommate. I found the most adorable house in my same neighborhood and knew it was perfect. I signed the lease trusting my roommate would materialize. And she did. For the next number of years, Cheryl and I lived together, and her very presence was a structure that helped separate me from my bulimia, even if only for a season. What are some of your common triggers, and what structures can you put into place to reduce their effect? They don’t have to be that drastic. If you read the blog post about the large tubs of movie popcorn that called to me, you’ll remember, if I felt weak, I simply avoided the movies. When I got stronger, my structure was to tell my movie companion that I will be tempted to buy popcorn, but do not let me. I often asked for the same support at dinnertime—please stop me if I go for a second helping, or don’t let me order dessert. Having to ask your support people to be your food police may seem like very tenuous recovery, but this strategy is really only necessary in the early stages. Think of it like using a spotter at the gym. They support you as you bench press increasingly heavy weights in case you weaken and drop one on your face. But as you workout, you gain strength and no longer need them for the lighter lifts. Movie popcorn seemed like a 250-pound weight at one point, but it became a 5-pounder I can throw around with ease as I gained solid recovery muscles. This is your journey. Only you will know your triggers. It’s important you ponder them, write them down, and devise a plan on dealing with them using counteracting structures. Be prepared so you can eventually be free.